I was not sleeping, whatever she may say… I was meditating. An expert tells me that this is the position of receptivity , so I thought I’d try and see. And at least you can tell what I’m doing, unlike some two-legses who are wearing shades in the house… and in winter too. I won’t tell her she looks silly… ’cause I am really wishing she’ll be better soon and my walks can get back to normal. None of this ‘just a quick one then’ business. Still, with Christmas just days away and early at our place this year, there should be something to cheer her up soon! Wonder if they’ll take me adventuring again if I promise not to eat the leash this time? It was Christmas, 1959. For me the world was moving forward to that joyous yet frightening time between high school and college. I was moving from the known world of the School for the Blind with its small classes, well known campus and the convenience of braille books to large classes, an unfamiliar campus, not geared to such accommodations as braille text books. It was the last Christmas I would take part in the Christmas concert with my peers; the last Christmas dance with the boy I’d been dating, the last time for so many things. Next year I wouldn’t be living in Staunton, so it was the last year I’d step off the Trail Way bus to be met by my sister, Fay, and my four-year-old niece, Pam. I’d spent school holidays with Fay, her husband, Bill, and Pam, since my mother’s death. “What’s Santa bringing?” I asked as Pam settled herself on my lap, later that afternoon. “A cat,” came the prompt reply. “But I am,” and there was no arguing if the assurance in her voice could be believed. But you didn’t argue with sister Fay. “We’ve explained that this is not the right time of year for kittens. Now tell Phyl what you’re going to get,” and she decisively banged the oven door. By that time I was laughing helplessly, but at the same time, thinking about how disappointed she would be. She was an only child, and from my own experience, as a child, much younger than my sisters and brother, I knew how much that something her very own to love, even share secrets with, would mean. “I don’t believe this,” came Fay’s only slightly less excited exclamation. “What on earth–” I said turning from the piano where I’d been quietly playing Christmas carols. And a cat it was indeed. Definitely a stray from her appearance. We lived over a mile off the highway, and certainly in the time I’d lived there, we’d never had a stray cat, yet there she was, coming straight for the house, and straight through the open door. Coincidence? Perhaps, but I like to think that some wise guiding presence had answered the desire of a child, granting her wish. Even now, when I’m faced with what seems like an impossibility, even a major change, I remember that Christmas Eve, the mysterious appearance of more than a rather scruffy cat, but proof that even the smallest need is granted, it only takes faith, and especially at Christmas. Phyllis Staton Campbell, who was born blind, writes about the world she knows best. She calls on her experience as teacher of the blind, peer counselor and youth transition coordinator. She says that she lives the lives of her characters: lives of sorrow and joy; triumph and failure; hope and despair. That she and her characters sometimes see the world in a different way, adds depth to the story. She sees color in the warmth of the sun on her face, the smell of rain, the call of a cardinal, and God, in a rainbow of love and grace. Although she was born in Amherst County, Virginia, she has lived most of her life in Staunton, Virginia, where she serves as organist at historic Faith Lutheran church, not far from the home she shared with her husband, Chuck, who waits beyond that door called death. Available via Amazon or Smashwords in paper and electronic formats, including plain text and RTF can be read on the PC using your screen-reader, with Victor Stream, Book Sense etc, and on devices such as the Apex. Click the titles to go to Amazon. When Jim, the pastor of a prestigious city church, is blinded in Iraq, he and his organist wife, Amy, find their faith challenged. Not only must they adjust to Jim’s blindness and a new marriage, but to the loss of his pulpit, when the congregation asks him to step down because of his blindness, in spite of his successful rehab training.They go to serve a congregation in a rural village, where in addition to the usual duties of a pastor and his wife, they pray for animals, cope with a huge drafty parsonage, befriend a young couple, secretly married, and help bring a baby into the world in the middle of a flood. 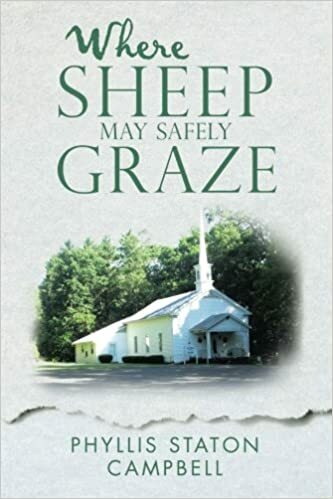 The characters are like animals and people the reader may meet every day, those people who will invite you in for iced tea and the latest news.The reader will laugh, and cry and find inspiration as Pastor Jim and Amy struggle and find the will of God. After her father’s death, when she was eight, Jill and her mother moved from town to town as her mother moved from job to job, each taking her higher on the ladder of success. When her mother marries the owner of a prestigious line of dress shops, six-teen-year-old Jill thinks her life is perfect—a beautiful home, a private school, and she’s dating the most popular boy in school. Then disaster strikes when she loses her sight due to a brain tumor.The day before she leaves the hospital her mother tells her that she’ll be going for an extended visit with her father’s mother, someone she’s seen only once, while her mother and stepfather go to Europe on businessAs she travels to rural Virginia, she feels totally abandoned. She knows that her stepfather is paying her grandmother for her keep, and she can’t shake the feeling that her mother simply doesn’t want to be bothered with a daughter, and especially with one who is blind. Too, there is the matter of why her grandparents and parents never had anything to do with each other.Travel with Jill as she masters her new world of darkness, learns to love family and friends, faces the thing that forced her father away from her grandparents, and finds the true secret of belonging.This is a story of courage and love, and a must read for anyone facing blindness, as well as for anyone who has an interest in learning more about the world of the blind, especially that of a young blind person. Besides that, it’s just a good story for anybody young or old who likes to read. Kate Talbot, partner in a small town detective agency is blinded by the psychopath who kills her husband and unborn child. Filled with guilt she retreats into a world of computers where life and death are played out on the screen, creating a form of immortality. When her partner urges her to come out of retirement to investigate a series of accidents at a school for disabled children, she reluctantly agrees. She soon realizes that the deaths aren’t accidents, but a part of a sinister plot, so diabolical that it can’t be imagined. 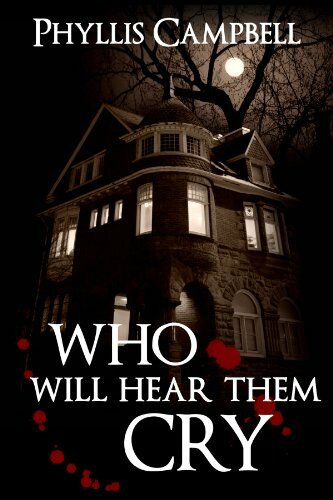 Her investigation takes her through the attics of the school, to the state mental hospital, to a country funeral and along a slippery ledge four stories above the ground. Follow her from the safety of your chair to the surprising conclusion. Two women, two centuries, and one man determined to destroy them, even from the grave.Chris has faced many challenges in her twenty-one years of life, a mother more involved with her career than with her daughter, a father who deserted his family also to pursue a career, and the loss of her sight. Nothing, however, has prepared her for the challenge faced by her and the four other clients attending an independence center held in a historic building on the campus of the school for the blind.Determined to achieve her goal of concert pianist, Chris feels a kinship with those women who have once lived in the old building, only to realize that the past is surrounding her and the others in a real and dangerous way. Walk with her as she struggles not only to achieve her career goals, know herself as a whole woman, but must uncover a secret over a century old. This entry was posted in Ani's Advent Calendar and tagged cats, Christmas, faith, prayer, wishes. Bookmark the permalink. What a sweet story, and how wonderful! Victoria, thank you so much. I love it when people like my work. I am so proud to see yet another friend and client visiting here on this blog. I knew this was coming today and it must surely be what woke me in the middle of the night. I’ve read all the books previewed here and I can say with great assurity that they are wonderful reads, and let me also assure you that I do not say that because Mrs. Campbell is friend and Client. I say that because it is simply the truth. Please do visit the original post, and please do pick up a book or two this Holiday season. I’m pleased to be featured here. It was the first thing I thought about this morning. Oh what a sweet story! It happened years ago, but I always think about it this time of year. I am so proud to see yet another friend and client visiting here on this blog. I knew this was coming today and it must surely be what woke me in the middle of the night. I’ve read all the books previewed here and I can say with great assurance that they are wonderful reads, and let me also assure you that I do not say that because Mrs. Campbell is friend and Client. I say that because it is simply the truth. Please do visit the original post, and please do pick up a book or two this Holiday season. Thank you for sharing this, Patty. A rather interesting thing happened yesterday. I opened a package, and to my utter amazement there was, a cat! No, she didn’t meow, but is a realistic cat, but who on earth sent her? A mystery! Late yesterday discovered she was a gift from the CEO of Creative Writing Institute. Another Christmas cat revealed. She was rather strange, actually, but hey, who ever saw a cat who wasn’t a bit strange. Wow, this story gave me goosebumps. Sue, I am sorry you are still ill. You must get better before Christmas. Just a rotten virus, Robbie, but it is lingering. I’m so glad you liked it, and send my best wishes to Sue. Yes, wishes do come true, and what would this old world be without wishes! What a wonderful story! Thank you for sharing. Hope you’re feeling a bit better, Sue. It was truly a pleasure to share. And to that child, who, incidentally now a grandmother, it was a miracle. What a sweet story! There ARE miracles at Christmas! What would the world be like without animals, and the stories they bring to us. I often wish we could know the secret thoughts of a small child. And all that is beautiful to you. It is such a thrill for me and my work to be featured here. Many thanks to Sue, and each person who has commented. What a perfect story for this time of year! Phyllis, your little miracle seems big to me. Just wonderful! I may be one of the few people who knows how to pronounce Staunton 🙂 with family history nearby. Interesting to hear that you have family history in the area. I’ve lived here most of my life. My brother went to Staunton Military Academy, and my mother went to nearby Hollins College in Roanoke. My Virginia roots are in Orange. Such a beautiful part of the world. Love those rolling hills!